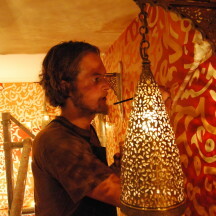 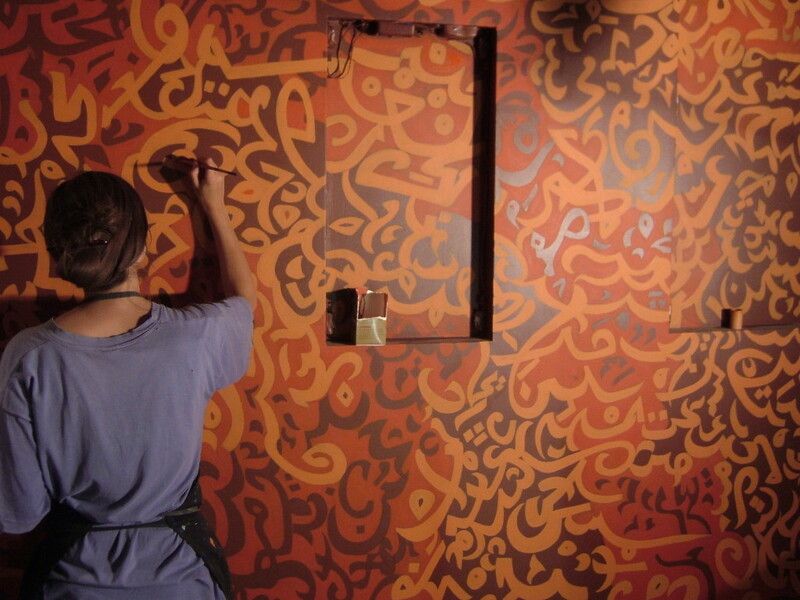 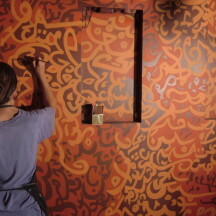 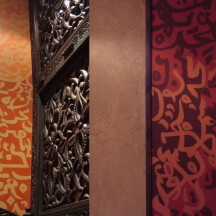 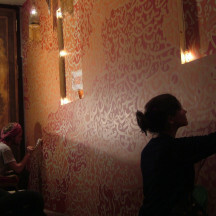 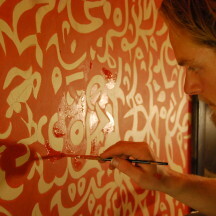 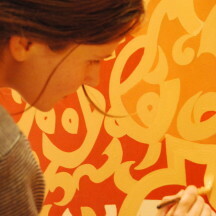 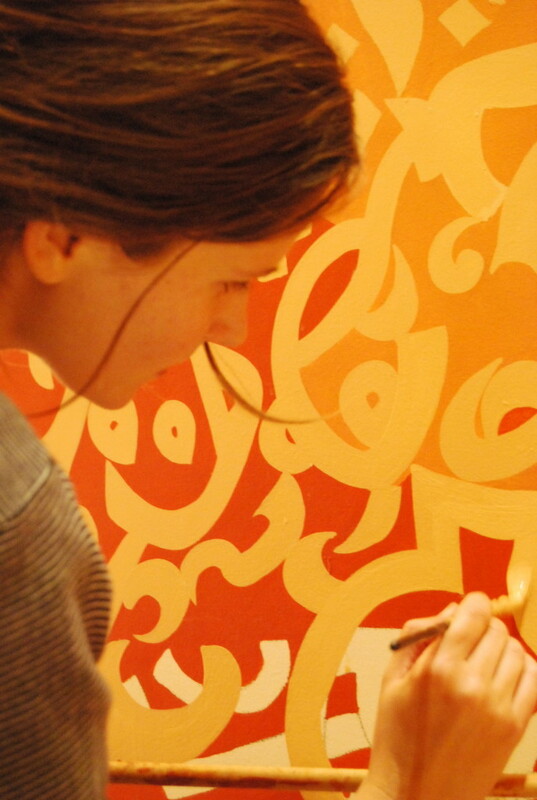 In August 2007 Adam was commissioned to paint a Mural in Kenza restaurant. 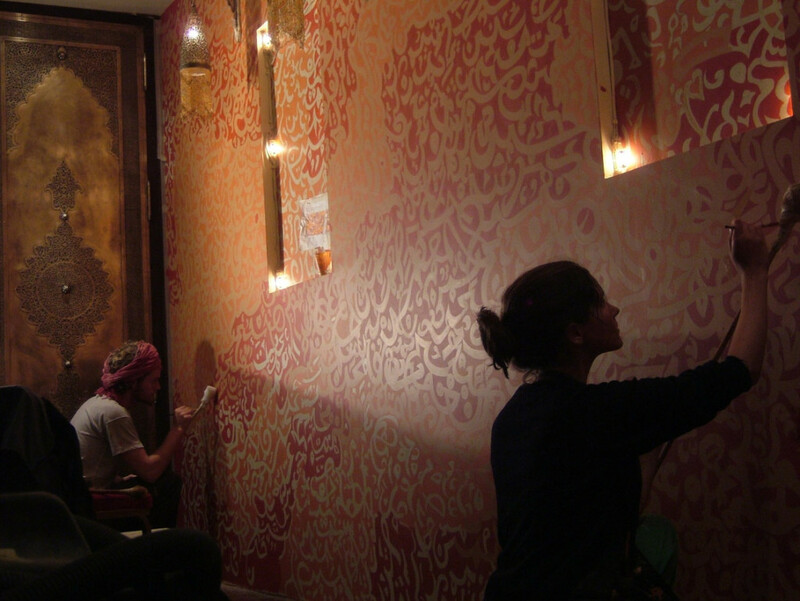 Two walls in two separate rooms where painted floor to ceiling, the walls in the larger room measured approximately 3m by 7m. 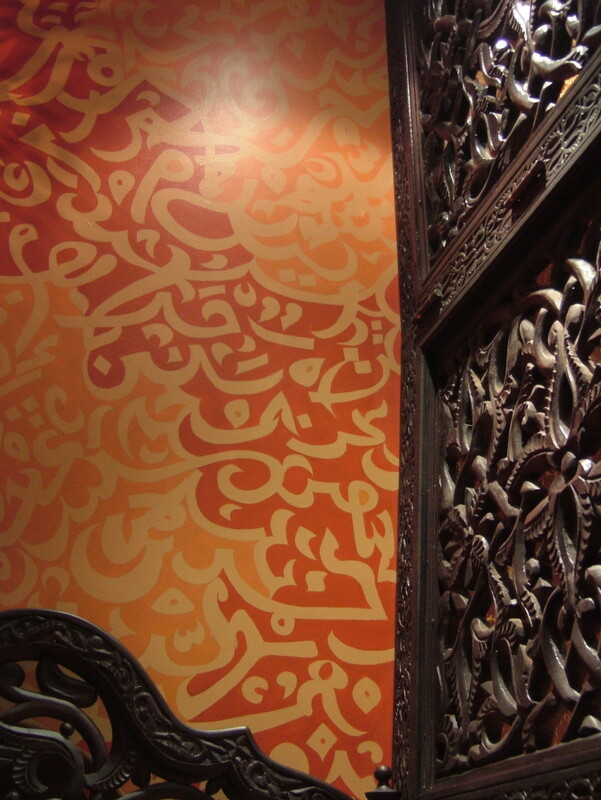 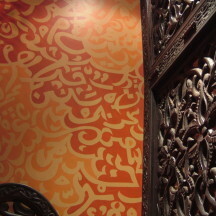 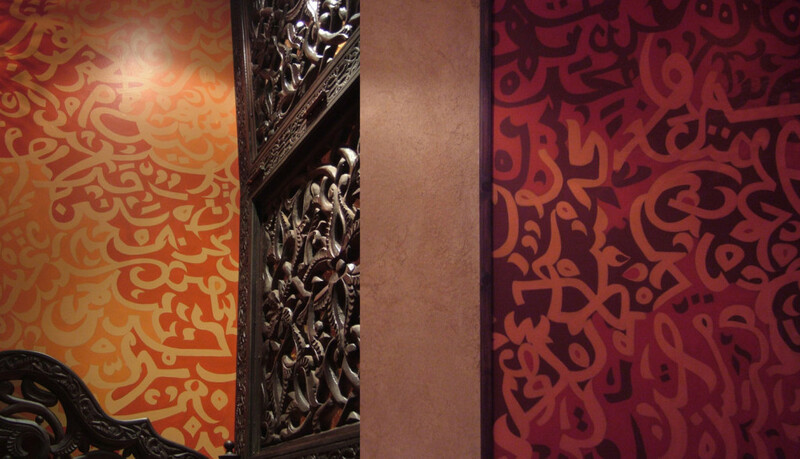 Arabic calligraphy was the inspiration for the design. 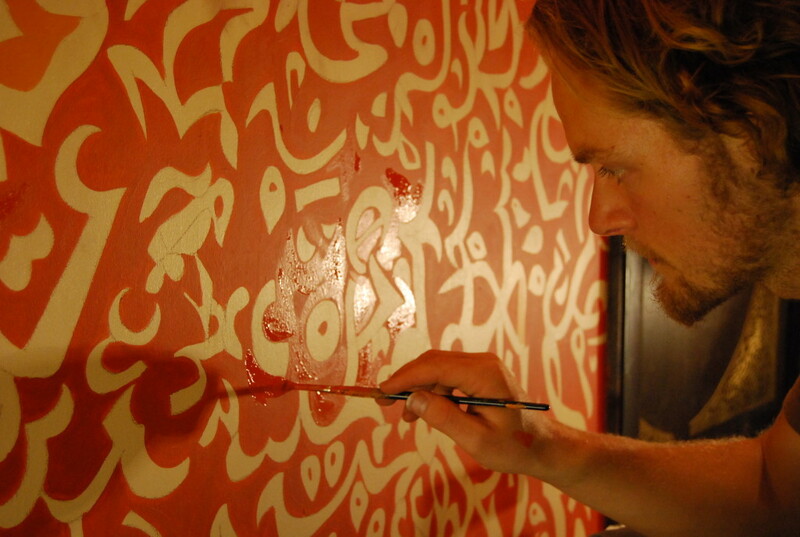 The letters and words are abstracted and have no meaning, their flowing shapes ripple across the walls, the piece as a whole looks as if if its oscillating and vibrating. 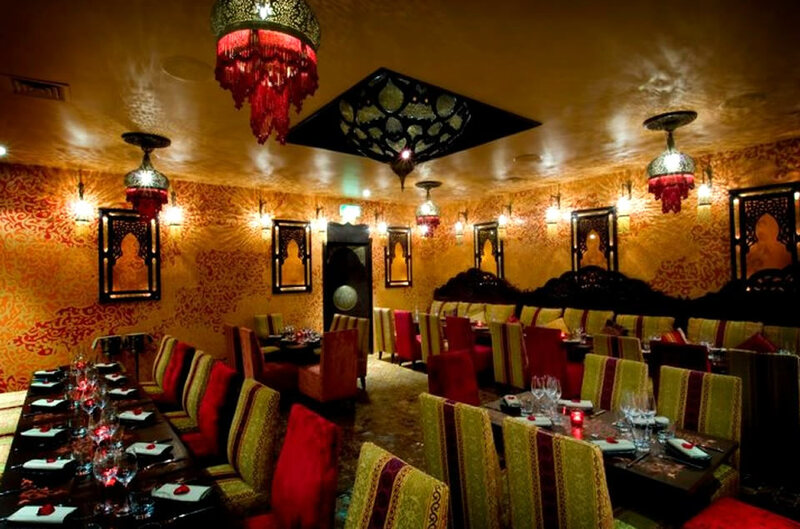 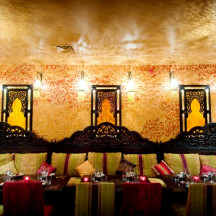 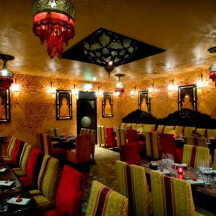 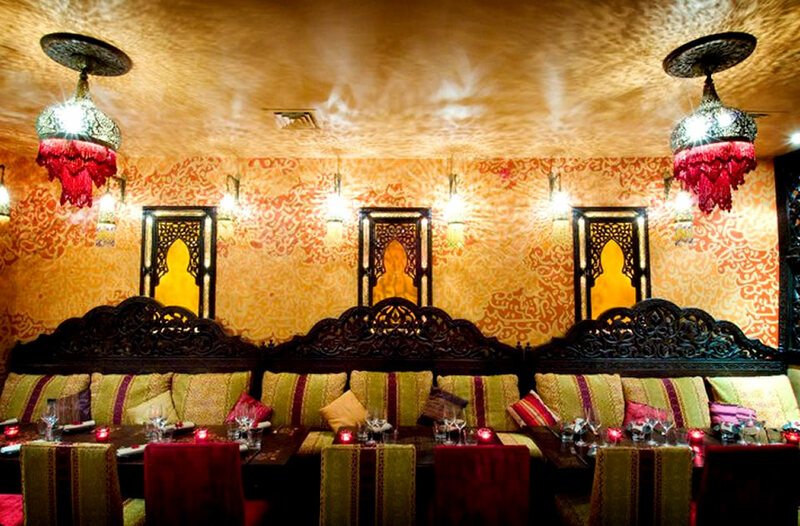 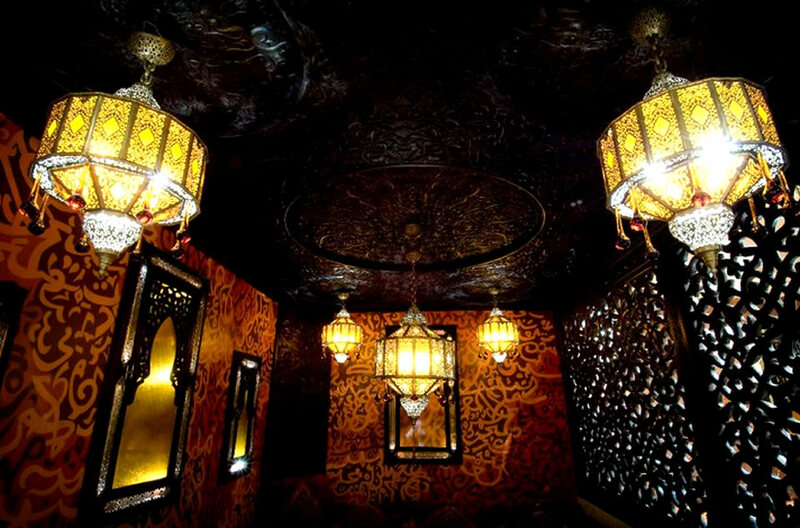 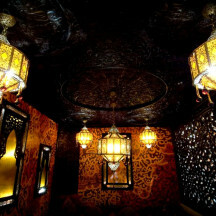 Kenza is the Arabic word for ‘treasure’, Kenza’s elaborate interiors are the inspiration of owner and restaurateur Tony Kitous, every element has been carefully chosen with commissioned pieces creating one of the City’s most unique venues. 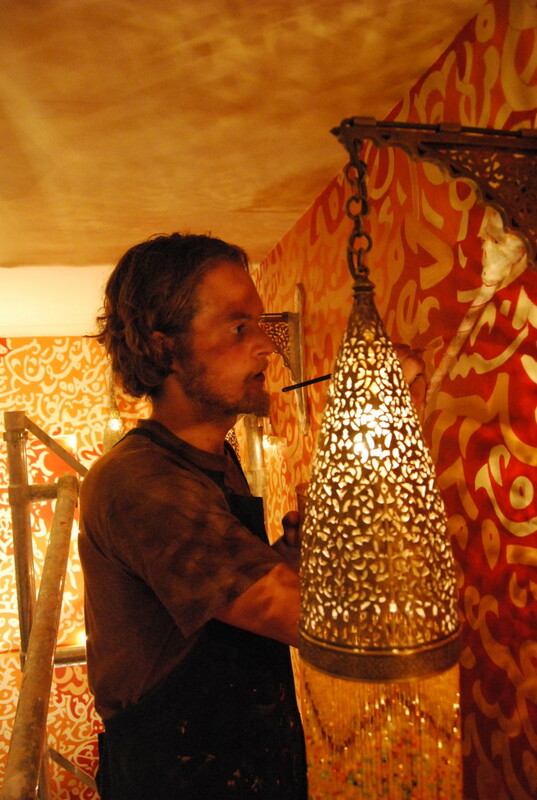 Beautiful lamps, hand painted tiles, intricate carving and dark woods are brought to life by vivid embroidered fabrics, sweetly perfumed incense, rose petals and candlelight.